YOU ARE NOT GOING TO BELIEVE THIS! BE PREPARED TO HAVE YOUR MIND BLOWN TO ITTY BITTY BITS! discovered cornucopia brimming over with amazing adventure, poignant sentiment and cloying cuteness which I am apparently bound by the code of social networking to share (or else...) only to leave me stupefied by the sight of a cute baby having its bum washed and powdered by the daddy (gasp!) are responsible for the inspiration behind that blinder of a header! What I liked about the book is that characters are realistically portrayed in different shades of grey, which makes them easier to connect with. They’re also relevant to the present, even though they are mythological characters - Rati reborn as Maya had me nodding in agreement with her thought provoking feminist dialogues, the Rukmini-Maya mother-in-law/daughter-in-law relationship had me smiling and was something I could relate to, and the portrayal of Shambara the Asura was such that I ended up liking him more than Kama/Pradyumna. Beats me why Maya left him for Pradyumna! 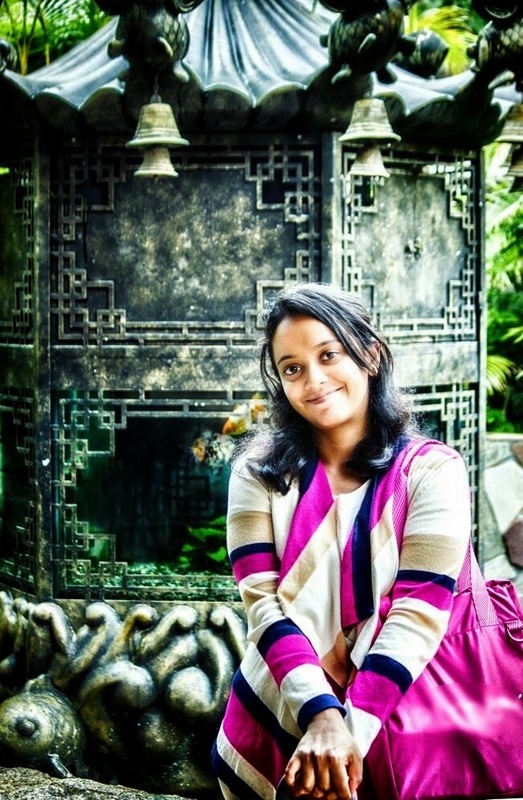 Anuja has grown a lot as a writer. If Arjuna, her first book was a commendable effort, her modern day portrayal of Kamadeva is an excellent read that puts her right up there with the most promising of upcoming writers. i think the author has done a magnificent job in making this a gripping tale. anuja's command over the language helps her in maintaining the pace of the book and she manages to make even routine things sound extraordinarily interesting. the opening chapter involving the creation of kamadeva and the consequent events, is a masterpiece in my opinion. i also admired and enjoyed the chapter where the discussion about the battle of sexes & sharing of power, takes place between indra & rati. on the whole a bold & brilliant initiative. This book by Anuja Chandramouli (click here for a review of this author’sArjuna) is an interesting read, as it flows through time and events in the Hindu mythology with immense ease. The book starts with the birth of Kamadeva by the sweat of Bhramha, induced by the overwhelming seduction he feels by an extraordinarily beautiful woman of his own creation – Rati. Rati is sensuous, fierce and of indomitable spirit, whereas Kama has a mellow demeanor, an incomparable charm and a calm and composed mind. A lot of other popular Devas make their appearance throughout the book, but the limelight never shifts from the protagonist duo. For a novice in Hindu mythology, this book is a good read as it puts forth the story in a mellifluous manner. 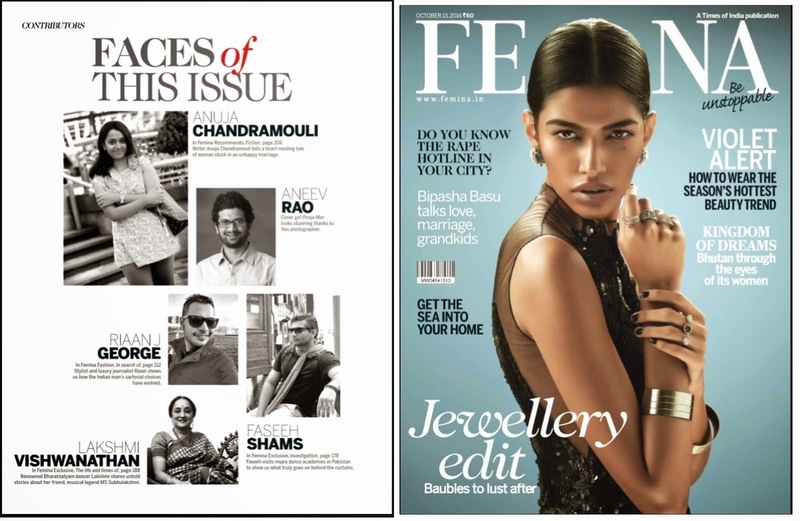 It was quite exciting to see myself as one of the Faces of the Femina, October 13th issue, it must be admitted! They are carrying one of my short stories which has quite a long story behind it with a little author bio at the end. It has been quite the heart-warming experience with friends and relatives messaging congrats and liking it on Facebook etc. As for the long story, my short story was originally entered in a national level short story writing competition. The top three would be given cash prizes and a few more stories deemed meritorious by the judges would be included in an anthology with the winners. There would be an event to release the book and you would get to bask in the unalloyed joy of being a published writer. I wanted the win, so bad, it made me positively reek of desperation which stinks far worse than particularly rank BO. Unfortunately, my little minnow of a short story did not make the cut, and the loss was hard to bear especially since treacherous hope had ballooned out of all proportion to reason, after it was announced that the first round had been successfully cleared. As a consolation prize, I was told my story would be included in the anthology. In the meantime, I had defiantly entered it in another competition which would see behemoths from a few more continents. Sometimes faith is even more foolish than hope and using the unassailable logic that my minnow had what it took to swim with the sharks, this struggling writer whose career had few things brag worthy and a whole lot, cringe worthy, made the choice to turn down the chance to have her story included in the anthology and opted instead to go for the win on an even bigger arena. Needless to say my minnow was swallowed up whole leaving me feel like a gambler who had lost way more than could be afforded. An Interview for New Asian Writing (Online Asian Literary Community) plus an Exciting Bonus! Anuja Chandramouli is the author of Kamadeva: The God of Desire. Her first book Arjuna: Saga of a Pandava was named by Amazon India as one of the top 5 books in Indian writing for the year 2013. Contact her here. NAW- Tell us about your book, Kamadeva. How did you get the idea for it? What is it about? Kamadeva: The God of Desire is about one of the most enigmatic and misunderstood characters in Hindu mythology. I have lost track of the number of ribald jokes that people have taken to regaling me with, having been told that my second book is based on Kama. Many assume that I have done my take on the Kamasutra and wish to know if there are illustrations. Seriously though, my book seeks to take the reader on a ride that begins with Kama’s origins and follows the intimate contours of the tumultuous journeys he was destined to undertake – the tremendous bond of love he shared with his consort (Rati), his love affairs, the dangerous missions he performed for the Gods, his invaluable contributions to the amorous arts, the premature death that was his fate, his rebirth and what happens after. And now for the best part, the icing on the cake, the fantabulous bonus you have been dreaming about etc. etc.. Find an excerpt of Kamadeva: The God of Desire right here. This reviewer has some lovely words for Kama and moi! 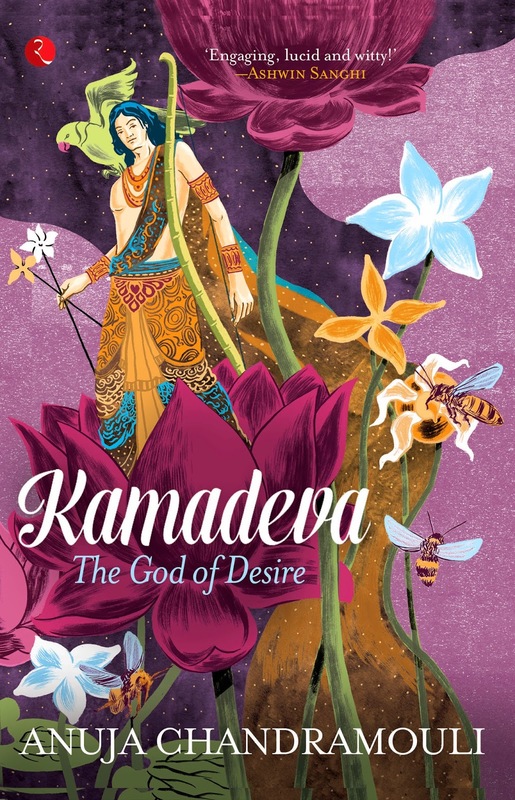 Flipkart has a 4, 8 rating for Kamadeva: The God of Desire. Blogger Purnendu Chatterjee gives it 4.5! How awesome is that! This book tells the story of Kama and about all those incidents and characters which we have never heard of. The readers will fall in love with the witty and compelling narrating style. A perfect blend of history and imagination.